In comparison to banking suits, a civil suit takes more time to dispose of. There can be various reasons for the delayed disposal, such as unnecessary adjournments, defendants avoiding to receive summons and witnesses avoiding to record their evidence. But I believe that the primary reasons have to do with ambiguity in Order VIII, Rule 1, Code of Civil Procedure (CPC) and the flawed nature of service of summons to the defendant. In a banking suit, the law namely Financial Institutions (Recovery of Finances) Ordinance 2001 is strictly complied with. In particular, section 9 and section 10 of the Ordinance provide a mechanism of service to the defendant. In a banking suit, a summons is served through the bailiff, by way of registered post, courier and publication in newspapers. All this is done simultaneously. The Ordinance provides that after the publication of summons in the newspapers, a defendant is to file leave to defend the suit within a period of thirty days. The service is held to have been validly effected after adopting these modes and the defendant cannot then claim that he or she has not been served. The time to file leave to defend is not usually extended, however, exceptions exist where there are valid reasons for the defendant to seek extension of time. A banking suit is summarily decided in case leave to defend the suit is declined, whereas in a civil suit, Order VIII, Rule 1, CPC provides that the time to file a written statement shall not ordinarily exceed thirty days (this was initially ninety days but an amendment in CPC decreased the time of filing the written statement). The word ‘ordinarily’ has not been explained in the CPC but it has been elaborated by the Honourable High Court of Sindh in its judgment reported as 2015 YLR 2220. It has been held that using the word ‘ordinarily’, vests discretion in the court to extend the time to file a written statement in order to advance the cause of justice, Moreover, ‘ordinarily’ means it is not mandatory in nature but has a directory effect. The directory nature of the word ‘ordinarily’, does not restrain civil courts to decide the lis after providing ample opportunity to file a written statement under Order VIII, Rule 1 CPC, but once enough opportunity has been provided and the defendant has failed to file, or avoided to file, a written statement, it is justified for the court to proceed with an ex parte judgment against the defendant. Unlike a banking suit, which provides thirty days to file leave to defend and where the time limit is strictly adhered to, the time-frame provided in CPC is not strictly followed. The Honourable Supreme Court as well High Courts have settled the law with regard to the striking off of defense of indolent defendants, the opportunity provided to defendants to file a written statement, and the outcome of a suit in case of failure to file a written statement. In a judgment reported as 1998 CLC 1399, the Sindh High Court held that the time-frame provided under Order VIII, Rule 1 CPC was not absolute and that the courts would have complete discretion to extend the time to file the written statement which may exceed thirty days as provided under the provision. In another judgment reported as 2013 MLD 1369, the honourable Sindh High Court made it clear that in case of failure to file a written statement, despite directions by the court, the court issuing the direction could strike off the defense of the defendant. Further interpreting the law, the honourable Lahore High Court in its judgment reported as 1999 YLR 1227 made it clear that if an order was to be passed under Order VIII, Rule 1, CPC, the court had to look into the averments of the party and see whether the claim was based on some footing. The court further held that Order VIII, Rule 1, CPC did not stipulate that whatever relief had been demanded had to be granted, even if not proven from the facts and circumstances of the case. In this regard, the Supreme Court of India in its judgment 2013 SCMR 137 laid down the principle that mere failure to file a written statement did not leave the case of the plaintiff as proven without considering the evidence. It further held that even if the case of the plaintiff was correct, it was of vital importance for the trial court to scrutinize it by directing him or her to present some documentary evidence worthy of credence. In order to fairly and justly decide a civil suit, civil courts are not bound to leave it up to the defendant to file a written statement whenever he or she desires. The word ‘ordinarily’, as used in Order VIII, Rule 1, CPC, has to be strictly construed. After granting a fair opportunity to the defendant, the courts ought to proceed to find recourse in punitive measures by striking off the defense of the defendant under Order VIII, Rule 10, CPC. As the time to file a written statement has ‘ordinarily’ been fixed at thirty days, it should not stretch to infinity. In the context of the time-frame provided in Order VIII, Rule 1, CPC, the honourable Supreme Court of Pakistan in a judgment reported as 2017 SCMR 1841 clearly held that where the law had prescribed a time for doing a certain act, the same should have ordinarily been adhered to, unless cogent reasons and lawful justification had been presented before the trial court justifying an extension of time. Generally, it becomes difficult for the courts to not strictly adhere to the thirty-day time-period as provided under Order VIII Rule 1, CPC because the provision itself provides that the “period shall not ordinarily exceed thirty days” and the directory nature of the provision makes it more difficult for the court to ascertain the connotation of word ‘ordinarily’. Lenient compliance with the provision in Order VIII, Rule 1, CPC leaves it almost redundant. Furthermore, the loophole surrounding the directory nature of the proviso in Order VIII, Rule 1, CPC allows litigants to misuse it by invoking Section 148, CPC which provides extension of time for any act for which any period is fixed or granted by the courts. The plea of due process of law can also be used a tool by defendants to force the court to allow them the opportunity to contest the suit by filing a written statement. When a defense gets struck off, the defendant often resorts to Rule 159 of Sindh Chief Court Rules (Original Side) ­­― a procedure in case a written statement has not been filed ― in the name of a fair trial. The Sindh High Court in a case reported as 2000 CLC 1045 made an effort to curb this practice by dismissing the application of a defendant for the restoration of his right to file a written statement. Failure to file a written statement does not affect the application of Article 133 of the Qanun-e-Shahadat Order 1984 [examination of witnesses] as already held by the superior courts. In case a defendant has failed to file a written statement even after a fair opportunity or has chosen to avoid filing the written statement in order to prolong the proceedings, the court shall minutely scrutinize the claim of the plaintiff, partially apply Article 133, Qanun-e-Shahadat Order 1984 by recording the evidence of the plaintiff and his or her witnesses, continue without providing any opportunity to the defendant to cross-examine the plaintiff or witnesses, and decree or dismiss the suit after applying its judicious mind. The law would have to be strictly complied with, subject to a fair and just opportunity provided to the defendant. Banking courts strictly provide a thirty-day time-period after publication of the summons for the defendant to file leave to defend the suit. 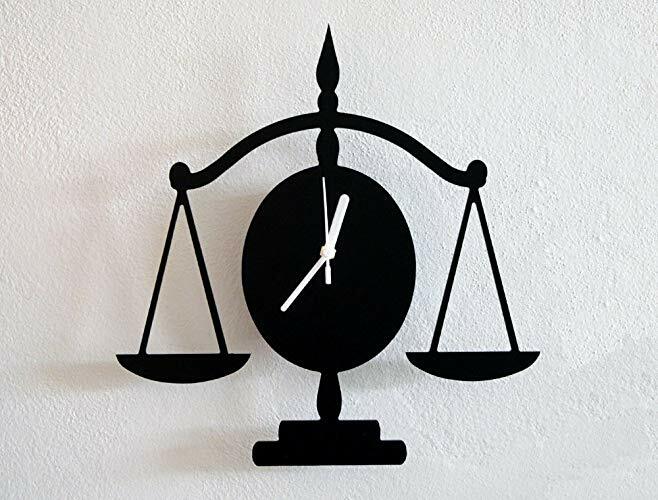 Similarly, a strict time-frame needs to be observed by civil courts as well in order to speedily dispose of civil suits in which a plaintiff has been deprived of expeditious justice due to the defendant’s deliberate attempts to avoid receiving summons or having chosen to not file a written statement. Unless the mechanism of service of summons upon the defendant gets overhauled, there will be hurdles making it impossible for courts to decide a civil suit in the shortest possible time. A plaintiff should not have to suffer because of the defendant’s attempt to benefit from the law. In order to strictly comply with Order VIII, Rule 1, CPC, it is imperative that Order V Rule 20, CPC (substituted service) gets strictly, effectively and manifestly applied. Generally, the service of summons upon defendants under Order V, CPC is made through the bailiff, process server, or by way of substitute modes provided in Order V Rule 20 i.e. affixing a copy of the summons at the place where the defendant is known to have resided, through urgent mail service or courier service, or publication in the press. The wisdom of the legislature must also be appreciated. While enacting the Code of Civil Procedure more than a century ago, the legislature seemed to be aware of the possibility that the given modes of service might not be enough, hence it added Order V, Rule 20(1)(B) under which the service of summons by any electronic device, including telegram, fax, radio and television, etc. was also provided. Since technology has advanced and telegram and fax have almost become non-existent, in order to effectively serve summons upon the defendant the law needs to be amended to provide service of summons through existing technological modes by effectively using biometric data and the data available with the National Database & Registration Authority (NADRA). A mechanism would need to be devised by taking telecom companies and NADRA on board to benefit from the availability of data available with them. Service of summons can also be carried out through other modes such as by way of making a phone call to the defendant, sending a Whatsapp message or email, or even reaching out to the defendant on social media which has now surpassed mainstream electronic and print media in terms of its outreach. The usage of data by taking on board telecommunication companies and NADRA and the service of summons through electronic modes are certainly detailed and cumbersome tasks which would also include ensuring that the data is used only for the purposes of service of summons and is secure from any misuse. The writer is lawyer based in Karachi. He holds a law degree from Hamdard School of Law, Karachi and an LLM degree from BPP University, London.